Just an easy and breezy dress to feel pretty in and wear literally anywhere. My personal style tends to change often but one constant staple that has remained in my wardrobe for literally years now has been floral maxi dresses. As a matter of fact, some of the very first looks I've featured on here were floral maxi dresses that I still love wearing to this day! And in fashion blogger years, that's definitely quite some time. Maybe it's just the beachy California girl in me but there's something about them that makes them one of my absolute favorite things to throw on. 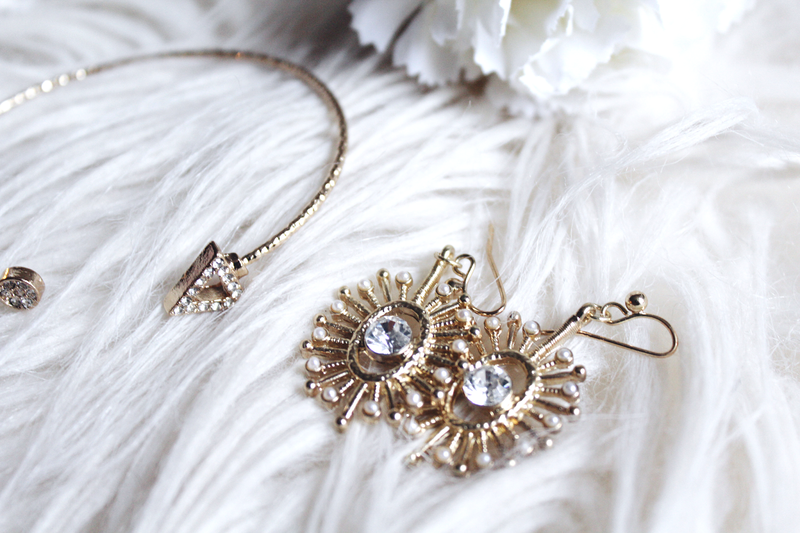 First off, they are one of the easiest ways to feel like a glamorous boho princess. Literally all you have to do is put one on, gather some of your favorite accessories and a cute pair of shoes (obv I always go for heels) and you're good to go. Going back to my aforementioned earlier blog posts, I remember describing them once as "daytime evening gowns" and I definitely still stand by that description. Just as an evening gown can make you feel fabulous and dressed up at night, the right maxi dress can very well do the same in the daytime. What I love about this dress in particular is that it rocks two of absolute favorite styles together: off the shoulder and maxi slits. Off the shoulder maxi dresses tend to work on pretty much everybody since they possess such a flattering silhouette. With that said, if you're ever wondering what item should be a staple in your spring wardrobe then this is definitely it. Even though it's only the end of January, I've already racked up quite a few spring-ready looks that I can't wait to bust out. 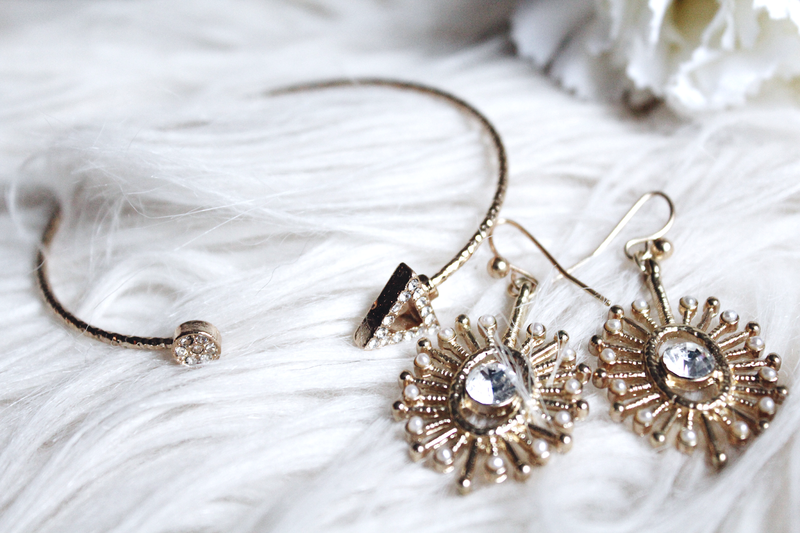 Gold jewelry has always and will always hold a very special in my heart. 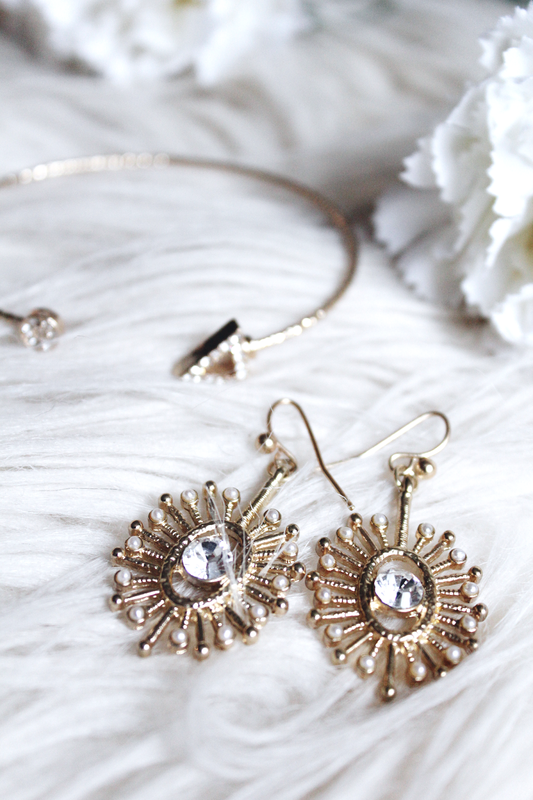 Anyone who has followed this blog long enough will know that I pretty much exclusively only wear gold/ rose gold accessories in my outfits and am always on the lookout for what pieces to glam up my outfits with next. With that said, I couldn't be any more excited to show you guys these fabulous new gold pieces that I recently got my hands on! 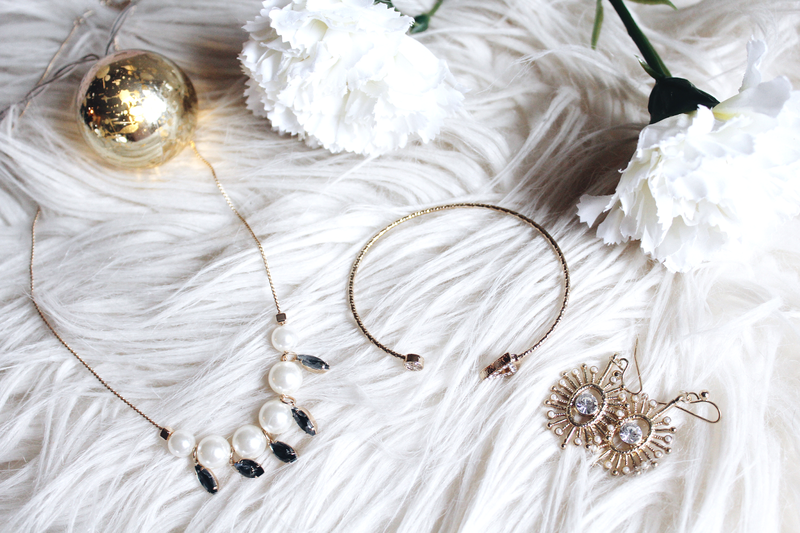 I got the chance to collab with the cutest jewelry company based in New York called Tippy Taste and am absolutely obsessed with the stunning accessories I received. 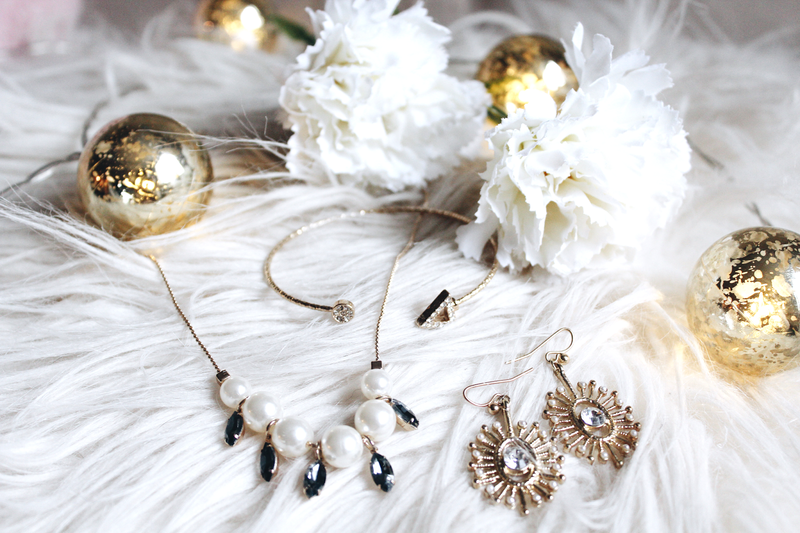 Each piece possesses a chic vintage flare to it with a little something extra added to it, ranging from pearly touches to the prettiest crystals. I thus setup this photoshoot to revolve around that very same aesthetic, incorporating plenty of florals, soft silks and other details that I felt gave off a modern vintage vibe. A cute little floral dress is one of the easiest ways to channel that cool, vintage girl look so this dress from Reformation was an easy pick. 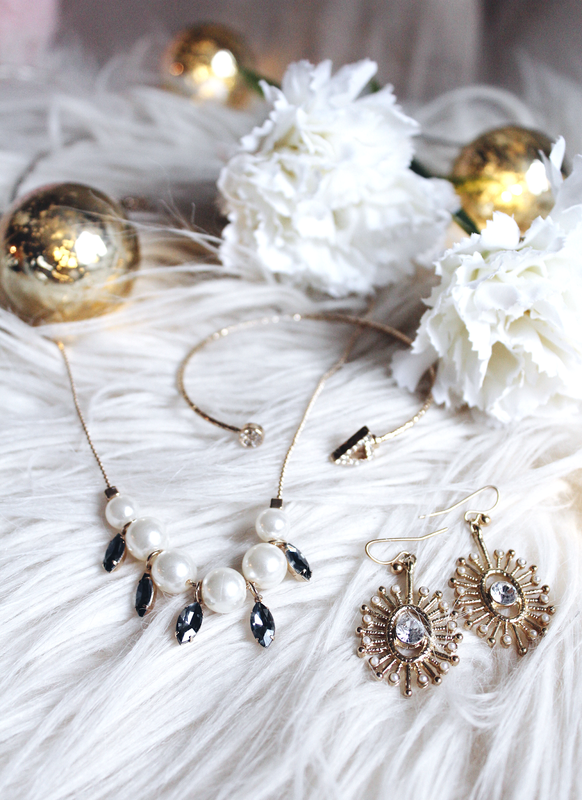 I found that it went perfectly with both the sun burst earrings and the pearl necklace, providing just the right amount of glam to each outfit. I wore them separately though since together would be a bit too much for my minimalistic taste. 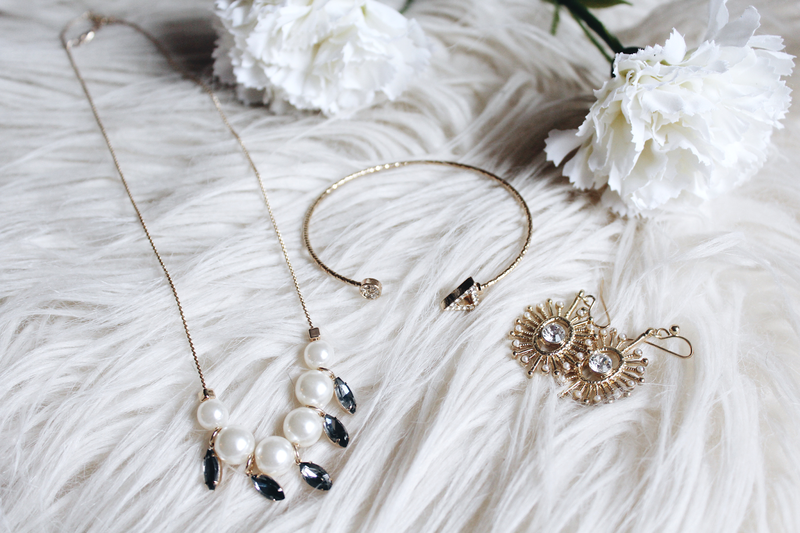 I hardly ever wear statement necklaces and statement earrings together - it's always one or the other for me! 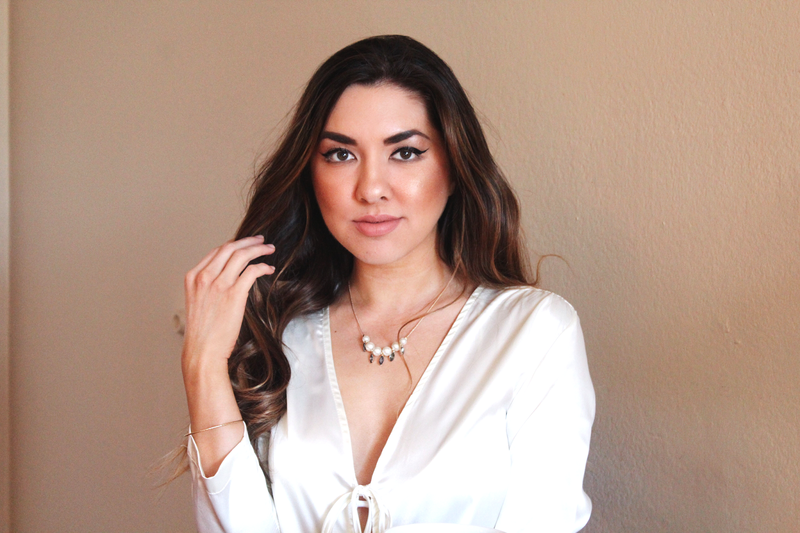 The pearls and silky top were also an effortless combo to come up with. This combination however can easily look way too old and preppy for me so I threw in my favorite lace-up denim skirt for a cool and casual touch. They balanced each other out perfectly, leaving the final result vintage, modern and very much my style. 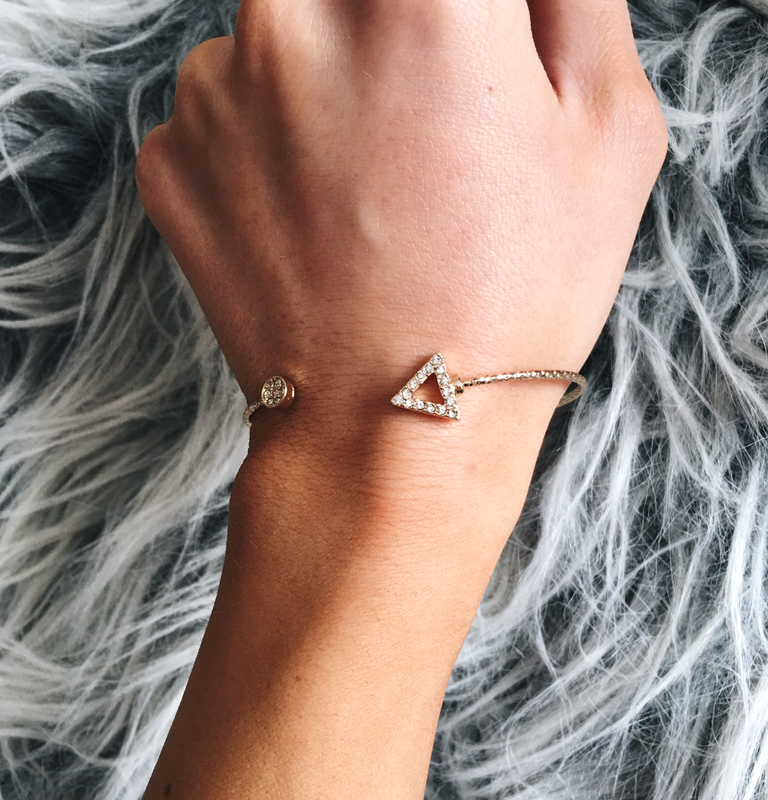 You can rock these pieces pretty much anywhere - whether it's out to dinner, a casual coffee date, school, or work these accessories are just as versatile as they are fabulous. I also love how affordable they are! 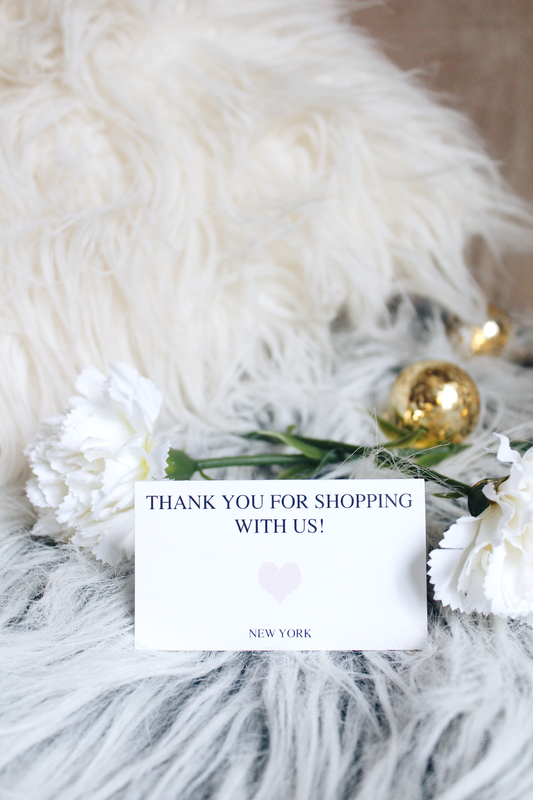 Most of the items listed on the site are under $20 and they're all elegant, high quality and stunning. If you like what you see here, definitely check out the rest of what Tippy Tasty has to offer. 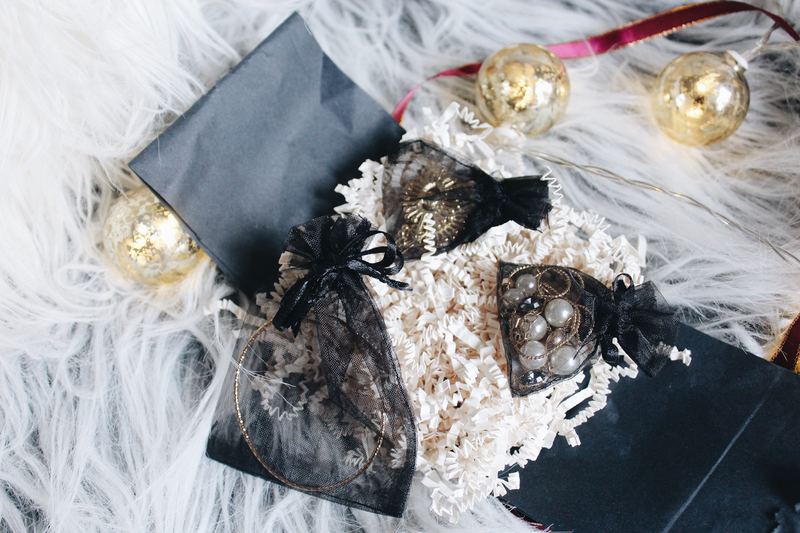 As you can see, the packaging is the cutest and the jewelry really is one of a kind. 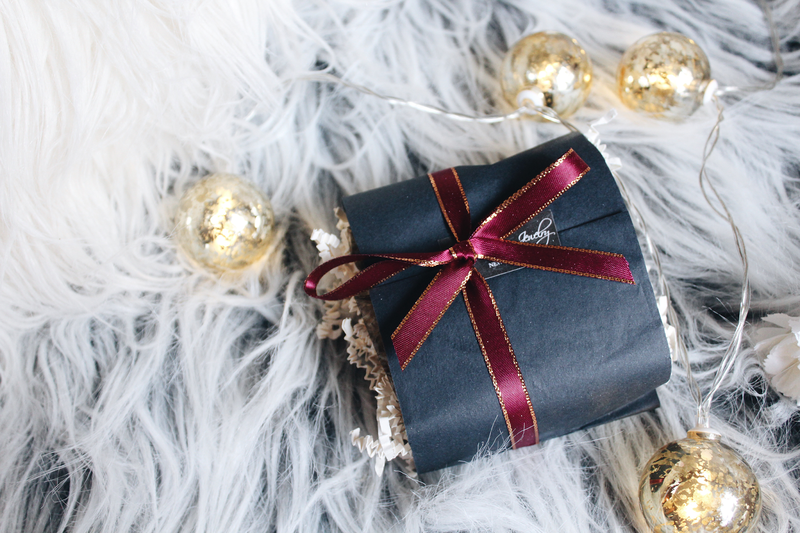 What's especially unique about Tippy Taste is that they offer monthly subscription boxes of their pieces, meaning you'll never have a shortage of gorgeous jewelry to wear. If you love what you see and like the sound of unlimited accessories to rock, definitely make sure to check them out here. The weather is finally starting to warm up a bit in LA! There's definitely still a chill in the air though, meaning my cozy oversized cardigans aren't going anywhere just yet. My hometown (and a lot of California in general) recently had a bunch of scary rain storms and flood warnings, but thankfully that also helped get more than 40% of the state out of the long lasting drought we've been having. While we're still far from being perfect, it's at least a step in the right direction. I've also got a few fun & flirty Valentine's Day themed looks coming up so stay tuned for those! With that said, if you're ever in doubt over what to rock with a sweater, a denim skirt is always a promising option. Especially cute A-line pieces like the one featured here! I did this shoot on a rather warm LA day but to make this more winter appropriate, I'd recommend throwing on some tights, ankle boots and trading in the light wash skirt for a darker tone, such as a dark wash or full on black (I love American Apparel's selection). Just another casual luxe combo for ya guys. 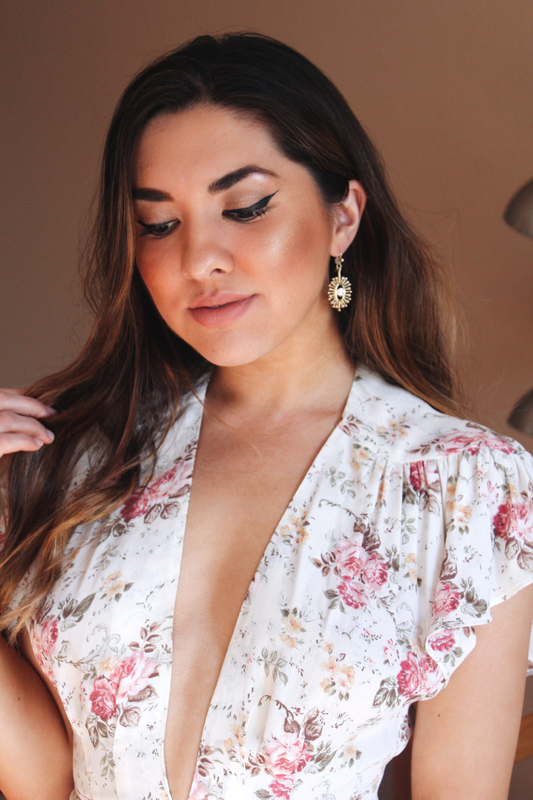 Yes I'm still obsessed with the silky trend going on and am thus absolutely in love with this square cami top from Reformation that I got a few months ago (so in love to the point where I also got this same exact top in a satin pink color. I couldn't resist!) 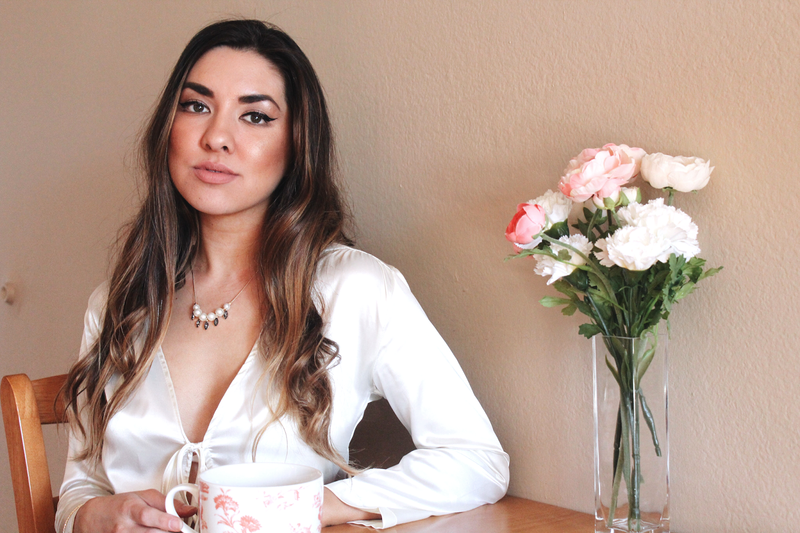 There are few pieces more versatile than a classic silky cami and you can easily dress them up or down depending on the look you want to go for. For cozier and more casual outings, throw in a good knit piece to keep your look a bit more daytime appropriate but still very much fabulous. I went ahead and threw in a Uniqlo midi pencil skirt to create a look that I found to be very feminine, elegant and simple. The slit was originally in the back of the skirt but since I'm all about that exposed leg action, I wore the skirt backwards so it was more visible. Also, midi skirts in general do not work on me at all unless there is a slit of some sort in the front - I end up looking pretty frumpy and short without it. So yeah, not cute. Another great way to pair knits with silk is by simply layering a cozy cardigan over it, something that I seem to be doing every single day up here in chilly Santa Cruz. This particular shoot was done back down in LA, hence the lack of any extra layers whatsoever. Hope everybody is having a fantastic start to 2017! This year has so far included rainy days, lots of coffee and walks on the beach in cozy cardigans and slip dresses. Pretty fantastic start, if you ask me.